Cantor Annie Rose will retire in July 2014. By then, she will have been the cantor at Temple Beth Emeth (TBE) for twenty years. She has trained countless bar and bat mitzvah students and created and conducted the Temple’s adult and youth choirs, Kol Halev (Voice of the Heart) and Shir Chadash (New Song). The adult choir boasts 70 members, a hearty testament to her leadership. Her extraordinary musicianship is matched by a scholarly pursuit of all things Jewish, musical, and spiritual. She combines her love of music with Jewish tradition in the way she teaches young people for their bar and bat mitzvahs, explaining to them how the “trope,” or cantillation signage (like musical notation), serves as punctuation for the Torah. Annie, as everyone calls her, tells her bar and bat mitzvah students that the Torah, like most sacred texts, has no syntactical structure. She asks them to imagine a novel written in all caps, with no commas, periods, or punctuation marks. How would they read it? The trope, she explains, is a way to indicate stops and starts. The cantillation signs also provide commentary on the text itself, highlighting important ideas musically. Annie Rose talks about the oral tradition of the Torah, which was kept alive, without a printed text, for generations. The trope may well have been a mnemonic aid. Several years ago, another member of the choir, Sheila (better known as “Happy”) Feigelson, conspired with fellow choir members to nominate Annie Rose for the prestigious Covenant Award, a national honor bestowed on Jewish educators. The nomination procedure is complex. Feigelson formed a committee, and together, it composed and submitted the nomination. Annie made the first cut, but she did not win the prize. Still, she wrote to each of the committee members to thank them and to assert that, for her, the real honor was being nominated. In enthusing about Annie Rose, Feigelson also recalled the words that Annie used to announce her retirement: “I want to be Theo’s wife.” Annie’s husband, Theodore Morrison, professor emeritus at the University of Michigan School of Music, wrote an opera that had its premiere in Santa Fe, New Mexico, in July 2013. The opera is slated to tour next year. Annie wanted to be free to attend those concerts with him. She also wants to spend more time with him at home. Given that Annie is known for giving total concentration to the people or task at hand, a trait deeply appreciated by all who know her, it comes as something of a jolt to hear her say: “My family is the stable core of everything I do. Being a mom has provided the deepest learning and greatest joy of my life.” But this should not surprise. She attends so fully to those with her at any given moment, that one needs to be reminded that she has a life of her own. Her son is completing a master’s in music composition in New York City. Her daughter is a social worker in Washington, DC. Annie Rose was an exemplary role model for each, creating harmony at home while demonstrating the importance of pursuing one’s professional goals. For most of their lives, she was a working mom: cantor, choir director, voice teacher, and bar and bat mitzvah tutor. She has also taught, by example, the value of a health regimen. Her office boasts a treadmill-desk. She designed it years before such exercise machine/office desk combinations were in vogue. She simply put together a standard treadmill with a suitable table, and voilà! Her treadmill desk was ready to mount. She walks while she works at her computer. Annie Rose was born and raised in Philadelphia, where her family belonged to Temple Adath Israel, a Conservative synagogue. She grew up attending religious school, and she continued her Jewish studies through Hebrew high school. “I loved religious services. I love ritual,” she said. The year of her brother’s bar mitzvah, he was required to attend services regularly. She went with him. They liked sitting up front. Their synagogue featured an organ and a choir. Annie was enamored of the alto soloist, one of “the fancy ladies,” as she called them then. “She [the ‘alto lady’] wore hats. I loved her.” In those days, girls did not aspire to be cantors. So Annie Rose aspired to be a choir soloist in a fancy hat. She also wanted to pitch for the Phillies. Annie studied music at Goucher College in Baltimore. After graduating, she spent two years on a Watson Fellowship. Equivalent to a Fulbright, this prize is awarded to a select group of students each year and stipulates that the student be far from home during the fellowship year. Annie arranged to study voice, conducting, and music theory in England and France. For the first six months, she lived in London, where she met conductor Antony Hopkins and saw Pierre Boulez, the French composer, conductor, writer, and pianist. She commuted to Paris (by hovercraft) for her music theory lessons with conductor and famed teacher Nadia Boulanger, who conducted their sessions in English. For the second half of the year, she lived in Paris and studied with opera teacher Tosca Marmor, who Annie later discovered had also taught Celine Dion. Marmor conducted Annie’s lessons in French. Annie’s fluency in the language quickly improved. Her worldview broadened, too. Annie recalls a day when “Tosca pulled up her sleeves, and I saw a number. I froze.” Until that moment, Annie did not know that Marmor was a Holocaust survivor. Back in Baltimore, Annie took Hebrew and Yiddish classes at Baltimore College. She also enrolled at the Peabody Institute, where she was a graduate assistant in music theory and earned two master’s degrees, in voice and conducting. Theodore Morrison was chair of choral music and director of the chamber orchestra. Annie sang in concerts that he conducted. When their collaborations became personal, she told him she was a committed Jew. He countered that he was an agnostic with no religious affiliation. When their romance became serious, they discussed the prospects of family. It was “evident” to both, she said, that they would have a Jewish home with Jewish children. “He embraced it with fullness and joy,” said Annie. 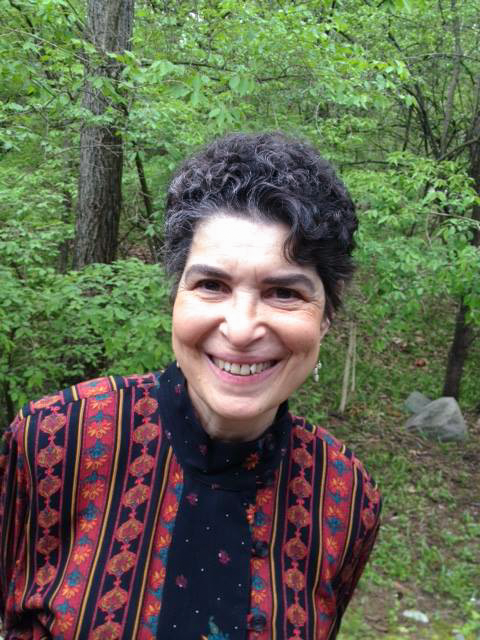 While serving in her first cantorial position for five years, she studied pastoral counseling with Rabbi Abraham Shusterman, Har Sinai’s rabbi from 1941 to 1972. She feels indebted to him for showing her the path she has long followed. He was long a member of Baltimore’s Interfaith Council, and he was active in the civil rights movement of the 60’s. He died in 1995 at age 88. Annie counts among her influences Rabbi Abraham Joshua Heschel, the Polish-American theologian, writer, and social activist. Annie calls him “one of my all-time heroes.” Heschel, who famously described the Sabbath as a “temple in time,” has many notable quotations. Among them are: "Wonder rather than doubt is the root of all knowledge”; "A Jew is asked to take a leap of action rather than a leap of thought”; and "When I marched in Selma, my legs were praying." Heschel, descendant of a long line of Hasidic rabbis, earned both rabbinic ordination and a Ph.D. in Berlin. He barely escaped the Holocaust. In 1942, the Nazis shut down the institution that conferred his ordination. Heschel had arrived in New York City two years earlier. In the U.S., he taught at Hebrew Union College (Reform) and the Jewish Theological Seminary of America (Conservative). Rabbi Leo Baeck (1873-1956), another of Annie’s inspirations, was one of Heschel’s professors at the University of Berlin. Baeck, a German scholar, taught that religion is faith and action; that if one starts with action, it leads to faith. Baeck was among the early leaders of Progressive Judaism, a movement that led to the branches now known as Liberal, Reform, Reconstructionist, and Progressive. Remember: joy is not merely incidental to your spiritual quest, it is vital. Nothing is as liberating as joy. It frees the mind and fills it with tranquility. If you are happy, the whole world benefits. Annie also appreciates Reb Nachman’s unusual prayer, “Thank you for this moment,” which he offered in times of great personal challenge. After all, it is life’s difficult moments that build character and resilience. She credits Moses Maimonides (1135-1204), the Spanish-born philosopher, physician, and Torah scholar, (also known as Rambam, the Hebrew acronym for Rabbi Moshe Ben Maimon) for giving us the notion of God as the pure idea, a power that can be neither described nor named. She drew parallels between this idea and similar concepts in Eastern philosophies. There is a thing inherent and natural, which existed before heaven and earth. Motionless and fathomless, it stands alone and never changes. It pervades everywhere and never becomes exhausted. It may be regarded as a name, I call it Tao, and I name it as supreme. Shusterman, of course, was the person who steered Annie toward pastoral counseling. I asked Annie how many cantors participate in congregants’ lives as deeply and intimately as she does. Annie maintains that she is not unusual in this. The cantor may, typically, be associated with the music, but for Annie, music is a portal to the spiritual. Invoking her classical music training, she pointed out that one cannot sing in anger. In opera one can pretend; one can act out the anger. But music in ritual tends to have a purity of intention. Annie Rose’s spiritual journey has been enriched by time and place. Her physical journey included a move from Baltimore to Northampton, Massachusetts, where her young family stayed for six years, and where Annie taught voice, helped at Hillel (on the campus of Smith College), and served as guest cantor for High Holy Days in the community. In 1987, they arrived in Ann Arbor. She has been a trusted presence on the staff of Temple Beth Emeth since 1994. Temple Beth Emeth, Ann Arbor’s Reform synagogue, made history in 1974 when it announced its plans to share a building with St. Clare's Episcopal Church. It was the first such partnership in the U.S. This interdenominational cooperation appealed to Annie, whose Baltimore mentor, Rabbi Abraham Shusterman, had urged interfaith ties. The shared building, on Packard and Eastover, is arresting for its sprawling, contemporary architecture, its airy and spacious sanctuary, and its fine acoustics. The invariably beautiful sounds that Annie Rose elicits from her choral groups are uplifting. Several years ago, her adult choir toured Eastern Europe and, several years later, Argentina. When they performed in Bucharest, people were bussed in from all over the country for the concert. The experience moved singers and audiences alike. Annie Rose is the proverbial seeker. She encourages other seekers. Her voracious reading includes Buddhist texts, particularly those of Thich Nhat Hanh and Pema Chodron, whose practices she finds inspirational. “I have read far more by great rabbis and other Jewish thinkers, but I am so grateful to have the option to read in other traditions too. I believe we all have a lot to offer each other. I just like to experience beautiful writings by vibrant, spiritually engaged people.” She launched and now leads a spirituality book group focused on spiritual writings. For Annie Rose, the transition from Conservative Judaism, the branch in which she was raised, to Reform Judaism was unexpected but fulfilling. She still treasures her Conservative roots, and now that egalitarianism is accepted as a central tenet of the movement, she has no axe to grind with it. But her preference is to call herself a Jew, plain and simple, without qualifying modifiers. Those who have seen but not heard Annie Rose will recognize her for her trademark, waist-length hair, worn in her signature style: top and sides pulled back into a single barrette at the crown; the rest flows down her back. The style has not changed over the years, but the color has gone from a rich, dark brown to its current salt and pepper. Her lyrical voice retains its colors of yesteryear. Annie Rose, the girl who once aspired to be the choir lady, now inspires others to be like Annie Rose. Temple Beth Emeth is located at 2309 Packard Street, Ann Arbor, Michigan 48104. Shabbat services are held on Fridays at 7:30 p.m. For more information, including details on joining the choir and attending concerts and events in celebration of Annie Rose, visit www.templebethemeth.org.